West of Interstate 83, around the Falls Road ramp, there rises a great old stack, its brickwork laid in days before reinforced concrete. I have seen it there, day in, day out, for twenty years. 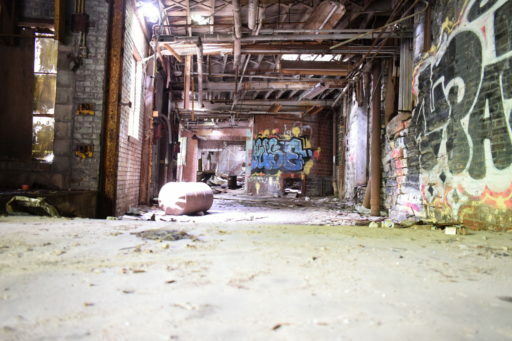 Here is its base – here is where it meets the earth, within the walls of this ruined factory. One might even climb inside, though I did not.